Early morning at 6:30 we proceed to Dambulla, in Dambulla we sightseeing the city and we will visit one of the biggest vegetables market in Sri Lanka. 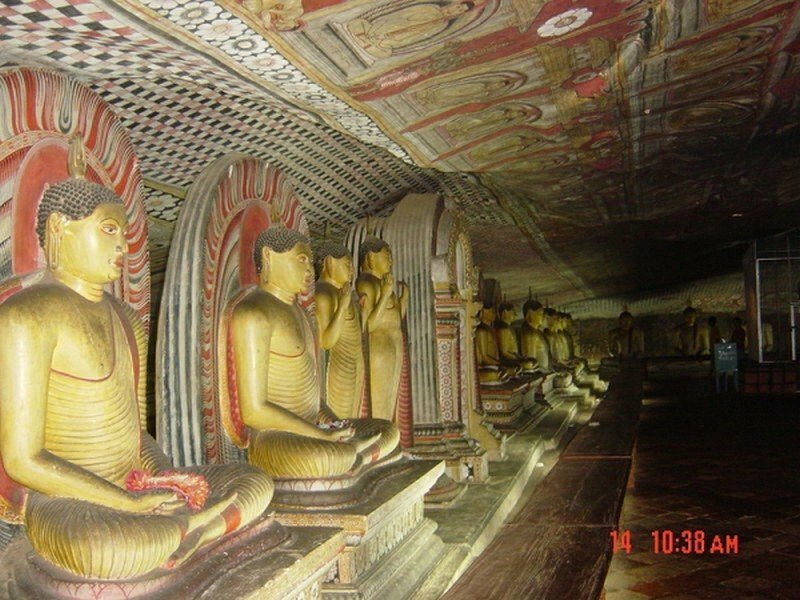 After we visit Dambulla City we proceed to the Dambulla Caves. Dating back to the 1st century BC, this is the most impressive cave temple in Asia. It has five caves under a vast overhanging rock, carved with a drip line to keep the interiors dry. In 1938 the architecture was embellished with arched colonnades and gabled entrances. Inside the caves, the ceilings are painted with intricate patterns of religious images following the contours of the rock. There are images of the Lord Buddha and bodhisattvas, as well as various gods and goddesses. After we visit the Dambulla caves we proceed to the Sigiriya Rock we climbing the rock after we are back from the top you can decide to take a ride on a Elephant, After this visit we proceed to Giritale where you stay the night in the Giritale Hotel. After breakfast we proceed to Polonnaruwa. Polonnaruwa The second most ancient of Sri Lanka's kingdoms, Polonnaruwa was first declared the capital city by King Vijayabahu I, who defeated the Chola invaders in 1070 CE to reunite the country once more under a local leader. Sri Lanka's medieval capital (11th - 12th Century AD) is a well-preserved city of ancient dagobas, moonstones, beautiful parks, massive buildings and stunningly beautiful statues. The majestic King's Council Chamber, the Lotus Bath, the Lanka Thilaka Viharaya, the Gal Viharaya (rock temple) and the statue of one of Polonnaruwa's great kings, Parakramabahu, are a few of this capital's memorable sights. After this visit we proceed and visit a wood carving factory. After our visit at the wood carving factory we proceed to Matale, in Matale we will visit the Hindu Temple. After our visit at the Hindu Temple we proceed and visit a spice and herbal garden. 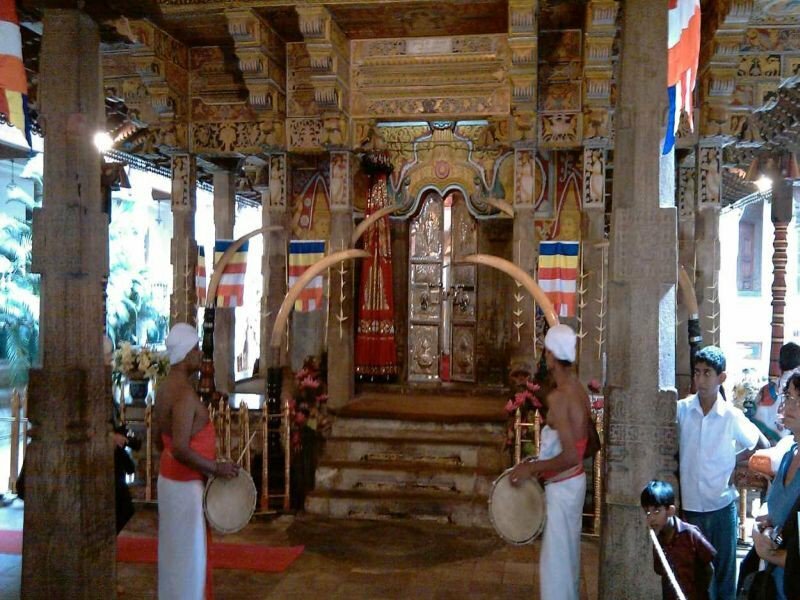 After our visit at the spice and herbal garden we proceed to Kandy, in Kandy we will visit the Temple of the Tooth and in the evening the Kandyan fire dancers. After we visit the Kandyan Dancers we proceed to the ThiLanka Hotel. After breakfast we proceed to the Elephant Orphange in Pinnawala. Around 9:15 start the feeding time the Baby Elephants getting their milk, Around 10:00 the Elephants going for a bath in the river. after our visit at Pinnawala we proceed to the Elephant riding place, here you can decide to take a ride on a Elephant through the jungle. After our visit at the Elephant riding place We proceed back to Kandy. The name Kandy is derived from the Sinhalese. The Portuguese shortened this to "Candea", using the name for both the kingdom and its capital Senkadagalapura. In Sinhala, Kandy is called Maha Nuvara, meaning "Great City" or "Capital", although this is most often shortened to Nuvara. We sightseeing Kandy City and we visit the gem museum, a batic and silk factory. After this visit we proceed to the ThiLanka Hotel in Kandy. After breakfast we leaving for the Nanu Oya rail station, we wil take the train to Ella, Ella is a beautiful small sleepy town on the southern edge of Sri Lanka's Hill Country. It's situated in the middle of beautiful countryside, with small vegetable plots in the valleys, tea plantations on the hill slopes and forests on the tops. You can enjoy the picturesque scenery in the hill country. We stay overnight in Ella. After breakfast we drive to the Ella waterfalls, A popular sightseeing attraction in Sri Lanka. It currently ranks as one of the widest falls in the country. This waterfall measures approximately 25 m (82 ft) in high and cascade from an oval-shaped concave rock outcrop. After we visit the waterfalls we proceed to Tissamaharama (Tissa), we stay there in the Hibiscus Garden Hotel. In the afternoon around 2:30 we will start the Jeep Safari in the Yala National Park. Elephants are the most often-spotted inhabitants of the Yala National Park in the southeast of Sri Lanka, east of Matara, but they share the reserve with 130 different species of birds and other creatures like sambhur, spotted deer, sloths, crocodiles, monkeys, wild boar and porcupines. There is also a small population of leopards. After the Safari around 7:30 we go back to the Hibiscus Garden Hotel. After breakfast we will proceed to Hambanthota, Matara and Galle, Galle is the best example of a fortified city built by Europeans in south and southeast Asia, showing the interaction between European architectural styles and south Asian traditions. The Galle fort is a world heritage site and the largest remaining fortress in Asia built by European occupiers. When we arrived in Galle we will visit the Dutch fort, the Galle Museum, a old Dutch church and the British church. After we visit Galle we proceed and see the stick Fishermen sit on sticks while fishing in the traditional way. After this visit we proceed to hikkaduwa. Hikkaduwa is a small town on the south coast of Sri Lanka. It is located in the Southern Province, about 20 km north-west of Galle. 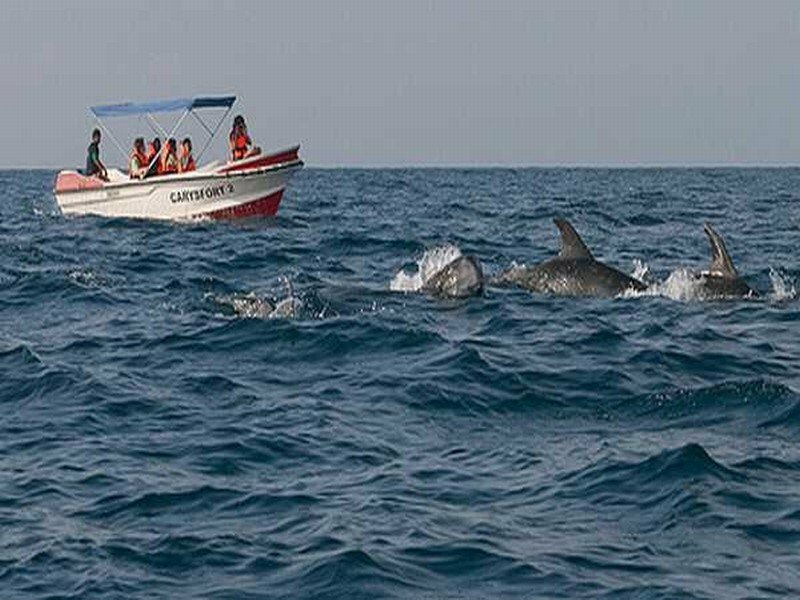 We go with a glassbottom boat and watch the corals, if you like it you can go snorkeling. After we Hikkaduwa we proceed and visit the Kosgoda's Marine Turtle hatchery - a valuable conservation project that protects the endangered Marine Turtles of Sri Lanka. Globally, all seven species of marine turtles existing are endangered. Out of these seven, five species of sea turtles come ashore to nest in Sri Lanka. The process of marine turtles nesting, hatchlings being born, and swimming back to sea is an ancient and phenomenal ritual that is fascinating to observe. We go back to the Hotel via Bentota, Beruwela and Colombo.